Buffalo is called ‘the city of good neighbors’ and for good reason. The people you meet are extremely friendly. 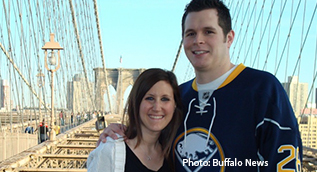 Get to know some of the couples and families, and their reasons for choosing Buffalo Niagara. 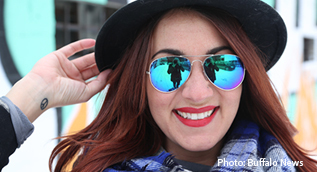 Allen and other millennials have reason to be optimistic. The Buffalo Niagara job market has picked up since 2015, with job growth taking a sharp turn for the better. After moving from Southern California, young Intelligentsia alum Jesse Crouse opened Tipico, one of the most thoughtfully designed coffee shops in Buffalo. There was an opportunity for Alex and Jennifer Adema to relocate to Washington, D.C. But they decided to make WNY their permanent home and raise a family. 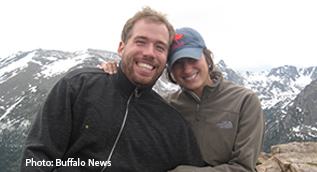 Six years ago Mike Sweeney’s then-fiancee, Danielle, made an agreement with him. She said she’d give Buffalo a one-year trial period. "Coming back wasn’t in my plans, but it was the best thing I ever did," Luehrsen said. "I didn’t have a foothold in Orlando. Coming back home helped me find myself. The energy and attitude are similar to what they experienced in the South a decade ago. When the job offer came, they decided to uproot. “I’ve worked at many hospitals, but Roswell is truly a special place. It takes its mission to be the best in the country very seriously."